Since I went through all the actors I'm not a fan of, I thought I'd be gender-neutral and take a turn at the actresses that leave me cold. Admittedly, I'm much more picky about leading ladies than I am with leading men, because it really takes a special blend of acting talent and charm to win me over but not alienate me, as well as to be pretty but not obnoxiously so (nor overly frumpy - no thanks to many haircuts). Also, who else agrees that 99% of dramas fail due to an annoying heroine? I'll do a separate post on the actresses I love, but this one's all about the ones I view as chronically overrated. I have no idea when she turned the corner from cold-fish second lead in Lie to Me to sudden leading lady. And from what I've seen of her childish, irritatingly excessive acting in Nine, I'm not sure it was a warranted transformation. I don't usually dislike an actress so much that I'll actively avoid her works, but I've found myself doing exactly that with her latest project Scandal. If it were anyone else but her I probably would have picked it up for the pretty Kim Jae Won and interesting premise (and unique situation with a pregnant heroine), but since it's her, nope, not happening. I liked her for the first two episodes of 49 Days, but the more I watched the less impressed I felt. She's just not that great of an actress, with a forced air belying her impressive resume. That's why 49 Days and all of her other works failed for me - I could physically see her trying to get into the characters but never quite getting there. Stepping beyond that, I'm not a fan of her droll delivery and dead-fish acting (seem most spectacularly in Bad Love). She's not at risk of overacting, and instead tends to fade to gray. I'll also be honest and say she looks much older than her age, especially if not properly styled (again see Bad Love for reference). That show was years ago and she already looked like an ahjumma. It's the combination of the giant undereye bags and puffy face. 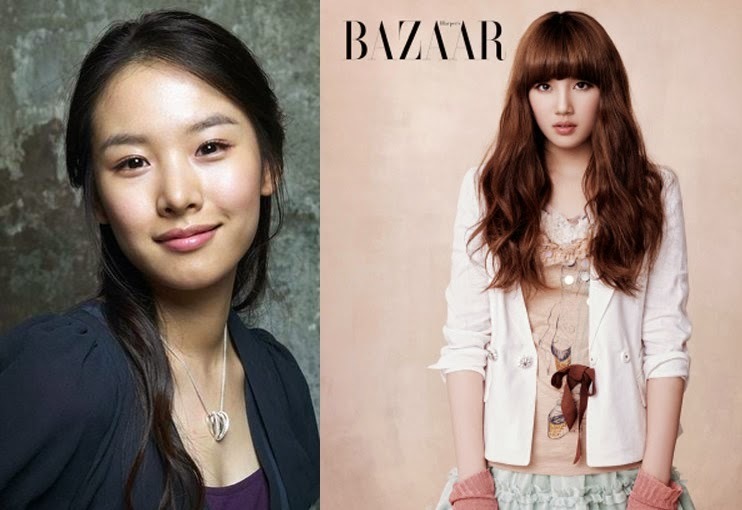 Her romance with Jung Il Woo didn't work for me mainly due to the fact that she looked like his aunt the whole time. I was really disappointed when I learned she was cast for Heirs. On paper she and Lee Min Ho make a good, age-appropriate pairing (I think she's also his first mainstream costar who's not older than him), but I'm just not excited by it and it's primarily due to her. She's actually an ok actress, admittedly not terrible (though similar to LYW can be very dead-fish in her roles). She just lacks an indescribable connection with the camera, and I'm never excited or invested in her characters. I also don't find her all that appealing as a celebrity, though I know others do. I'm already anticipating not liking her character in Heirs, but maybe she'll finally surprise me. I've wanted to like her from way back in My Girlfriend is a Gumiho. But like PSH, SM leaves me cold. I couldn't relate to her Mi Ho or her Arang, even though the characters were written fine. She tries to be funny but it doesn't quite ring as genuine, just as she tries to play quirky but comes across too safe. There's just this distance with her performance that leaves me completely underwhelmed. There's probably not as much debate about her (lack of) talent, so we won't spend too long. She's a pretty young lady, but there's nothing compelling beyond that. I hear the word "likable" associated with her a lot, but am often confused by what that even means. She's just never done anything I particularly like, and after that awful turnout with Seung Gi I think I'm through giving her more chances. I agree about Park Shin Hye - she's lacking so much emotion when she's in front of the camera, and if you can't show emotions on camera, why are you acting? When I look at the picture you've posted, I see the same distance and emotionless gaze again. There's nothing there, and I definitely find her overrated.